Stout was originally an English invention, but over the last few hundred years the style has been spread around the world. 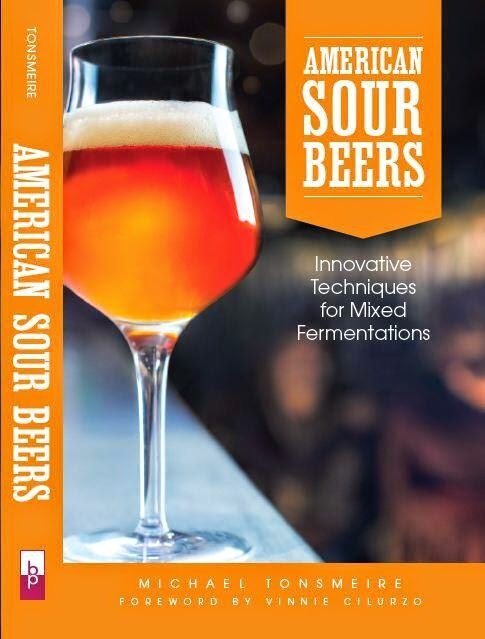 Brewers have changed it to suit the local tastes and ingredients, morphing it into sweet, refreshing tropical versions; monstrous, bourbon-barrel-aged American variants; and dry, bitter, Irish stout. There are other dark beers, but stouts are loosely held together by having roast as their primary flavor. As I've discussed in the past, the umbrella categories of porter and stout are indistinguishable in many cases (if someone wanted to call this batch a Scottish porter it would be hard for me to argue). This 90 Shilling Stout was inspired by traditional Scottish breweries like Traquair House that get their caramelized complexity from an extended vigorous boil (not crystal malts). I simply increased the percentage of roasted barley to 5% from the standard 1-2% to darken the beer and add a balancing coffee-like roasted flavor. This is the most satisfying type of beer for me to taste, based on an idea rather than a specific commercial example or style guideline. Appearance – Cocoa brown body with clear mahogany highlights when held to a light. The khaki head floating on top is composed of tiny bubbles. Decent lacing, but the head does not last as long as I would like. Smell – Light roasted coffee, caramel, and toasted bread. The aroma also has a rustic/woody character that I assume is from the ECY Scottish Heavy strain. Taste – The flavor is toastier than the aroma, the Maris Otter really comes through. The roast is smooth and coffee-like (without acrid harshness). The light bitterness is enough to balance out the moderate malt sweetness. The finish has the same oaky character from the nose, complex for such a simple recipe. Mouthfeel – Restrained carbonation, making the medium body feel creamy. Drinkability & Notes – A beautiful session stout (although the alcohol is a bit too high for a long session). The malt/yeast complexity is what brings me back for a second sip, but the balance is what convinces me to have a second glass. I've heard some people say that black patent is what really changes the head color. Looking at this one (all roasted barley) compared to my Courage RIS clone (all black patent) seems to support that. I have a question that does not pertain to this post exactly but I think you might have an answer for. I am curious about barrel ageing beer and in particular the organisms that live in the wood. I am aware that reusing yeast cultures without properly caring for them will begin to create “off flavors” in your beer. Do the organisms living in the wood need to be treated in a special way to ensure that the flavors you desire continue to flavor your beer in the way you want them to? If there are, can they be applied to an oak spiral? That is the sort of question that doesn’t have an easy answer. There is a lot of debate about the best way to care for wood impregnated with souring microbes. Some breweries worry that improper barrel cleaning between batches will cause Acetobacter to take over (especially if it spends anytime dry in between batches). That said, we’ve had good luck just racking one beer out and putting another one in on top of whatever beer/trub is left (repeated too many times this could lead to autolysis though). Moving an oak spiral from one fermenter to another certainly is an option, but as time goes on the ratio of bugs will change (for better or worse), so your results will change from batch to batch. I’d suggest moving it directly from one beer to the next (if you need a couple weeks before the next batch I would seal the spiral in a jar with a few cups of the beer it had been in). You could consider washing the spiral in some hot water in between batches, the microbes will be safe down in the wood (some brewers think that killing the weak microbes will lead to better beer in the long run).